ThanX Andrew for taking the Time to Take and Share these Poignant Photographs! EDUCATION MINISTER RUAIRÍ Quinn has said he will request that the Department of Justice revisit whether or not survivors of Bethany Home should receive an apology and access to the State redress scheme. 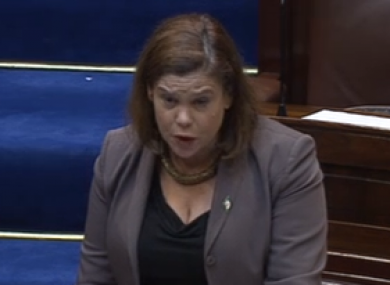 The issue was raised during Leaders’ Questions in the Dáil today by Sinn Féin deputy leader Mary Lou McDonald, who said the government has so far “flatly and coldly refused the Bethany survivors the dignity of recognition”. Yesterday McDonald attended the unveiling of a monument to 222 children who died while in the care of Bethany Home. She described the ceremony as “sobering” and said it was the first time the children were “officially recognised and mourned” following the “appalling indignity” of being buried in a unmarked grave. Quinn said that everyone “automatically and instinctively empathises” with those who were “abandoned” in such homes but said that the government has not been “satisfied” that “agents of the state were responsible” for placing children in Bethany Home. McDonald said that who put the children in the home was irrelevant as the State had failed to oversee adequate standards were in place. 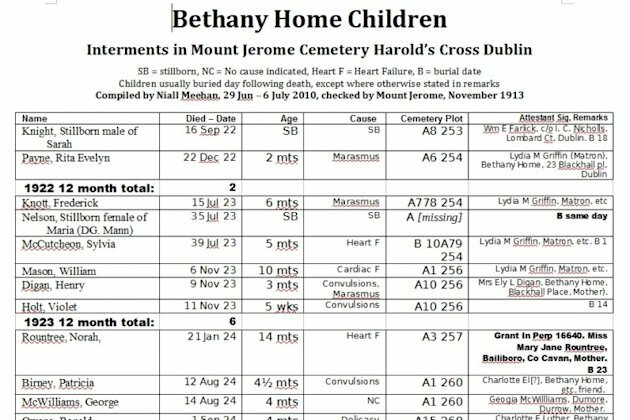 She added that Bethany Home, which was located on Orwell Road in Rathgar, was subject to inspection so there was a “State record in terms of the neglect and the abuse”. As the home was primarily for unmarried Protestant women and their young children, McDonald said that the survivors felt they were “doubly” ignored “because they came from a minority faith”. Quinn said he would ask the Department of Justice to revisit the matter. “That’s all I can say at this point in time,” he noted. Also during Leaders’ Questions, Fianna Fáil’s finance spokesperson Michael McGrath said that the government’s white paper on Universal Health Insurance “leaves more questions that answers”. McGrath said that it was “another tax on middle Ireland … who are already at the pin of their collar”. He asked what the cost of UHI would be for individual families and the State. Quinn noted that such answers could not be provided until after the consultation period of eight weeks. He said McGrath and other members of Fianna Fáil had “immediately jumped in without reading the document”. The Education Minister stated that the current health system in Ireland was “unfair”, “inefficient” and “quite simply is not working”. He added that UHI, or Reillycare as some have dubbed it after health minister James Reilly, would “determine access to care based on need not income”. Meanwhile, People Before Profit TD Joan Collins accused Justice Minister Alan Shatter, who survived a motion of ‘no confidence’ last night, of failing to address a number of key court cases, including those relating to Sarah Bland, Ian Bailey and Cynthia Owen.